Below is a list of book reviews. I have chosen a few recent books that I found very impressive and that have had great impact. Periodically, I will add to the list as new important books appear. For each entry, the book cover link will take you to its site on Amazon.com; the title link will take you to the review; the author link will take you to that author’s web site (if there is one); and the reviewer link will take you to the reviewer’s site (again, if it exists). 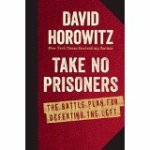 David Horowitz‘ Take No Prisoners: The Battle Plan for Defeating the Left; reviewed by J. Christian Adams in PJ Media. There is another review by yours truly on this site. 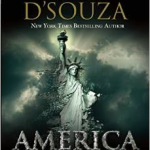 Dinesh D’Souza’s America: Imagine a World without Her; reviewed by John Hayward in Human Events. Another review, this one also of the D’Souza movie by the same name, by John Fund in National Review online. 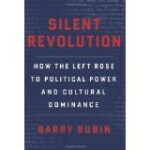 Barry Rubin’s The Silent Revolution; reviewed by Lloyd Billingsley in Front Page Magazine. 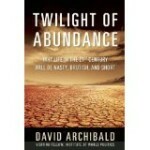 David Archibald’s The Twilight of Abundance; reviewed by Terrasa Monroe-Hamilton at NoisyRoom.Net. Caroline Glick‘s The Israeli Solution: a One-State Plan for Peace in the Middle East; reviewed by Spengler in the Asia Times. Here is a second review by Evelyn Gordon in the June 2014 issue of Commentary Magazine. 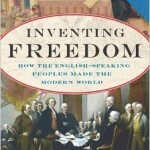 Daniel Hannan’s Inventing Freedom; reviewed by Barton Swaim in the Wall Street Journal. 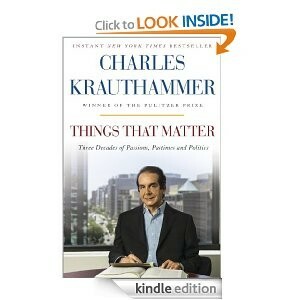 Charles Krauthammer’s Things That Matter; reviewed by Peter Wehner (of the Ethics and Public Policy Center) in the Nov 13 online issue of Commentary Magazine. Mark Levin‘s The Liberty Amendments; reviewed by Thomas Lifson (editor and publisher of The American Thinker). Mark Steyn‘s After America; reviewed by Ray Hartwell in the Washington Times. 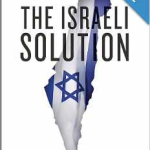 George Gilder‘s The Israel Test; reviewed by Yours Truly in The American Thinker. David Mamet‘s The Secret Knowledge; reviewed by Andrew Klavan in the Wall Street Journal.